Legend (The Arinthian Line, book 5) RELEASED! Are you ready for Augum, Bridget and Leera’s grand finale? I hope so, because Legend (The Arinthian Line, book 5) has officially released! Wow, I simply cannot believe I finally get to say that. I’ve been positively giddy with excitement in anticipation of this day. 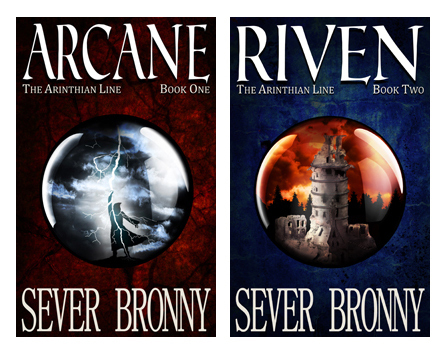 The Arinthian Line spans almost a million words, has been years in the making, became an Amazon bestseller, and was the most challenging and rewarding undertaking of my life. But this victory is not just mine—it is yours as well. You supported and encouraged me, and it meant a lot, more than you know. “So where is it already?” I hear you asking. Legend can be found HERE on Amazon. The book is so big (it’s 243,000 words, 20% longer than Clash) that it barely squeaked by the max of 740 paperback pages in length! I cannot thank you enough for joining me on this epic journey. I’ll get to work on a new series as soon as possible (hints on that can be found in Legend). In the meantime, thank you from the bottom of my heart, and enjoy the book! Augum, Bridget and Leera want only to study new spells and make their legendary mentor proud. But when she unexpectedly departs on a crucial quest, they run afoul of a devious old witch and are forced to make a hasty getaway–straight into the hands of a notorious maniac known as the Blade of Sorrows. 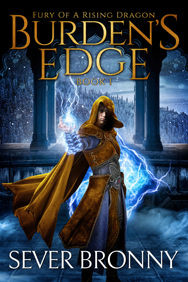 Prisoners of the Blade and his sadistic apprentice, the trio must face their greatest challenge yet: escape using nothing but an ancient spell with some nasty side effects. But more than their lives are at stake, for an entire kingdom’s hopes rest with their mentor–and she’s heading for a deadly trap. 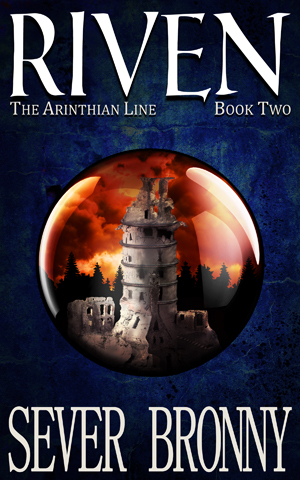 RIVEN is the second book in the Arinthian Line series. To get word of a 24 hour release window when you can purchase it for only 99 cents, subscribe here. 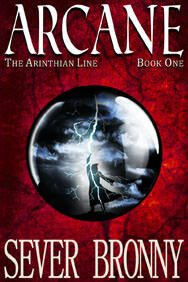 Arcane (The Arinthian Line, book 1) available here. "PHOTOS" section of website and will now be continually updated.